Actor Irrfan Khan is taking his role as a vigilante rather seriously. The 49-year-old actor, who met Delhi Chief Minister Arvind Kejriwal on July 19, has also asked for an audience with Prime Minister Narendra Modi. PM Modi, currently busy with Parliament’s monsoon session, is yet to confirm but what we’d like to know is – why does Irrfan want the administrator on the hot seat? “Not hot seat really. The film (Madaari) is about the common man and the system. We always see the story of the madaari and jamura. They decide the system and the rest feel helpless, so I thought maybe I should take this opportunity to meet them and ask them,” Irrfan said. What’s that one question he wants to ask PM Modi? “There are so many on my mind, I cannot just ask one. It depends on the mood but the one question that weighs on everyone is accountability,” Irrfan said. “Let’s say one general concern is where does accountability lie? Why is it not transparent? Does the responsibility of the political party lie to tell the people what their plan is when they come to power and also isn’t it their responsibility to make the people more aware?” he asked. The tag line of Madaari is Desh So Raha Hai . We asked Irrfan why people remain ignorant despite an over active social media culture in the country. “People are easily lead. They get into the trap of promises because of their insecurities. They get aligned to a group, driven either by politics, cast or religion. They want to align with the most powerful group,” Irrfan said. Irrfan also explained why he took the role of creative producer for Madaari. “The reason is to get the film a release. I wanted to control the film so that it could be released. Sometimes a film you do gets stalled. Marketing is a burden on Bollywood. These types of films change the trend but these stories often get buried or waylaid by the enormity of the promotions and the finances involved,” he said. Of Madaari taking on Rajinikanth’s Kabaali on July 22, the actor said his film is no competition to Rajinikanth’s greatness. “There is enough space for both films,” he added. Irrfan Khan’s Inferno is also set for a release in October. Irrfan said that working with director Ron Howard and actor Tom Hanks was an experience, especially Mr Hanks, who is a secure actor. “Actors get insecure, but when you watch Tom Hanks you realise what a great man he is,” Irrfan said. Kejriwal executive will quickly carry separate policy for cab, bus aggregators. the second one section of odd-Even rule become applied from April 15 to 30. Taxi aggregator coverage will allow greater taxis on avenue, stated Kejriwal. Delhi chief Minister Arvind Kejriwal Wednesday admitted for the primary time that the ordinary-even schemecan not be a long–term “remedy” to air pollutants. He stated his government become decided to ramp up public transport inside the town within a 12 months to restrict the quantity of cars at the roads. 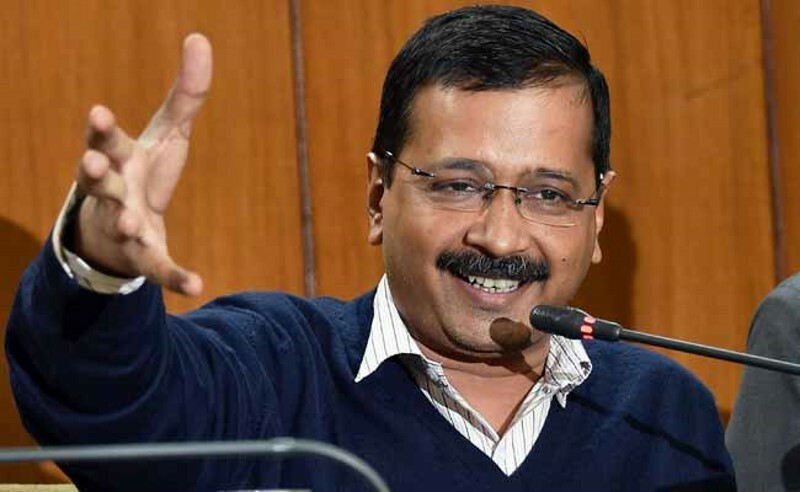 Calling the second segment of the atypical-even scheme “very successful“, Kejriwal said the governmentwill quickly come out with a separate coverage for cab and bus aggregators as a way to allow greater taxis and buses on the roads. “We ought to support the public shipping gadget in the coming days and we’re operating on it. atypical-even can’t be an extended–time period remedy,” the leader Minister said addressing a “thank you giving”rite to have a good time the sucess of the second one section of the scheme. “we’ve introduced a bus aggregator coverage. we are hoping the buses from the personal area will ply at the roads. We are also developing with a taxi aggregator coverage with a purpose to allow extra taxis onavenue,” Kejriwal stated at the event in Chhatrasal stadium. We also are coming up with a taxi aggregator policy as a way to permit extra taxis on street. In coming 12 months, public transport can be strengethened in Delhi and if we do strange-Even after that then human beings may also face less problem, he stated. delivery Minister Gopal Rai said the fulfillment of the second phase of the scheme became 99.60percentage which is five percentage greater than the primary phase of the road rationing degree in January. He stated the government will take a selection on future implementation of the peculiar-even schemebased totally on evaluation of numerous surveys on air pollution by way of special businesses as well as inspecting the effectiveness of section 1 and a couple of. The leader Minister said the Delhi government changed into augmenting Delhi transport enterprise‘s bus fleet except taking a sequence of measures to improve public shipping. the second segment of the scheme became implemented from April 15 to 30. Slamming the app-primarily based taxi aggregators, the chief Minister stated the government came hardon them after they took to surge pricing, taking benefit of people‘s distress. “Taxi aggregators attempted to take advantage of people‘s distress. They hiked the prices 6-7 times. “I known as a taxi operator. He stated we do it in 400-500 towns across the world. To this, I stated youcan not do it in Delhi. You can not run your writ in Delhi. you need to follow our regulation. For the firsttime they needed to stop the surge pricing and are available down on regular pricing. No authorities dared to do it. day after today we impounded some 150 cabs,” Kejriwal said. He also lauded the “compliance stage” located with the aid of Delhiities during the atypical-Even scheme and referred to that around 25 lakh cars ply in Delhi, but simplest 300-500 people have been challaned for violation. “people of Delhi are not afraid of a great of Rs. 2000…it’s far nothing for the human beings of Delhi. With the challan they might roam the entire day. but they did no longer do some thing like this. “human beings could earlier say that Delhities do not comply with the law. i’m of an opinion that if theauthorities takes human beings along, then human beings of Delhi follow and appreciate the regulationmore than the americans,” Kejriwal said. The chief Minister said at some stage in his interaction with humans, he were given the remarks thatthere was less traffic congestion when the road rationing scheme become in force and the massesappreciated the degree. Slamming the competition and the media, Kejriwal said fake claims have been being unfold thatpollutants levels had gone up for the reason that inception of the abnormal-Even scheme. “some human beings say pollution has not long past down. Centre for technological know-how andenvironment, which is understood to be an honest agency, has said that pollution stage has long pastdown at some stage in bizarre-Even scheme. “some newspapers wrote that pollution elevated throughout the extraordinary-Even scheme. (If) petrolusage has long gone down by using 30 percentage then how can pollutants growth by 23 percentage. Ido not understand their good judgment. There are numerous reasons for pollution like winds blowing from Haryana. however the basic issue if you use less petrol and diesel, then pollution will go down,” Kejriwal said. download the devices 360 app for Android and iOS to stay up to date with the cutting-edge techinformation, product reviews, and one-of-a-kind offers at the popular mobiles.